Formed in 2003 in the historic Spanish city of Toledo by guitarist/composer Ángel Ontalva, bassist Amanda Pazos Cosse and keyboardist Victor Rodriguez, for their fourth CD release October Equus have gone back to a quartet format, just as they started out ten years ago. 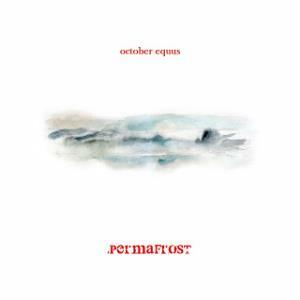 Permafrost, released in May 2013, is also their first album released by Ontalva’s own independent label, OctoberXart Records. Though, after 2011’s Saturnal, the band have parted ways with AltrOck Records, they appeared at the Italian label’s festival in June 2013, and the new album was mastered by AltrOck’s preferred sound engineer, Udi Koomran, at his Tel Aviv studio. The lineup changes occurred after Saturnal (recorded as a seven-piece) imply that October Equus have gone back to the basics on their fourth album – taking reeds and cello out of the equation, though without renouncing the complexity of their particular take on the RIO/Avant-Prog aesthetics. In fact, the album marks a definite step forward for the band, allowing them to distance themselves from the influence of Univers Zéro – which loomed quite large on their previous releases – and give their sound a more personal imprint. 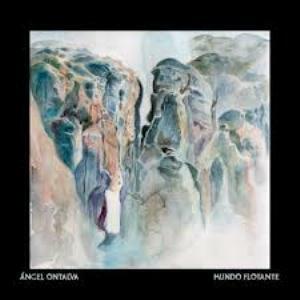 While their style remains firmly ensconced in “chamber rock” territory, the new stripped-down format pushes Ontalva’s guitar to the fore, constantly supported by Victor Rodriguez’s array of keyboards. Drummer Vasco Trilla (also a member of jazz-rock outfit Planeta Imaginario) provides an inventive, often dramatic rhythmic backbone, assisted by Amanda Pazos Cosse’s discreet yet versatile bass lines. As suggested by the title and the booklet’s detailed artwork, Permafrost is a concept album, based on the tragic ending of Sir John Franklin’s Northwest Passage expedition. Besides his obvious musical talent, Ontalva (who, together with Rodriguez, is the band’s main songwriter,) is also an outstanding graphic artist, and his black-and-white illustrations complement each episode of the musical odyssey. Though completely instrumental, the music manages to convey the atmosphere of fear, loneliness and impending doom without relying on words – perhaps even more effectively because of their absence. The stark appearance of the cover, distinguished by a striking use of white space, evokes the bleakness of the Arctic winter, while on the back cover Franklin’s last note is reproduced. Those who believe any band tagged RIO/Avant-Prog must thrive on dissonance might find their convictions challenged by Permafrost. Indeed, the album often comes across as surprisingly melodic – though of course, not exactly in the same way as your average symphonic/neo prog release. As a whole, though Univers Zéro are referenced on more than one occasion, I was often reminded of Miriodor’s effortless complexity and elegant blend of angularity and fluidity. Obviously, given the nature of the story narrated by the music, the album has its fair share of tense, Gothic moments, rendered by a skillful mix of electronic effects and conventional rock instruments – as in closing track “…Two Double-Barreled Guns and 40 Lbs of Chocolate”, as ominously menacing as a horror movie soundtrack. The correspondence between track titles and musical content is often astonishingly precise: eerie mellotron and swelling piano flurries, coupled with tinkling vibraphone, evoke the desolation of the abandoned ships in “…Books, Saws, Silk Handkerchiefs…” , while the mesmerizingly measured pace of “Graves of the Crewmen Buried on Beechey Island” – almost Pinkfloydian in its slow, mournful development – is punctuated by suitably dirge-like drumming. Rodriguez switches from organ (whose fuzzed-over sound hints at Soft Machine) to synths, piano and even mellotron, working in unison with Ontalva’s expressive, jazzy guitar to create a wide range of atmospheres – haunting and almost romantic at times (as in the autumnal, melancholy “Lead Poisoning”), strident and aggressive at others (“Thermokarst”). Clocking in at barely over 40 minutes, Permafrost is an intense, cohesive effort that packs more punch in its very restrained running time than most 70-minute albums. Though, as was the case with its predecessors, its main audience will be the RIO/Avant crowd, there is enough on the album to appeal to those with somewhat more mainstream tastes. Among its many qualities, this disc proves that “concept albums” can be something different from the overblown messes that have unfortunately become synonymous with progressive rock, and that a purely instrumental palette can be used very effectively for storytelling purposes. Definitely one of the strongest releases of the year so far, Permafrost is highly recommended to all open-minded music fans.